With today’s fast-paced lifestyles that a majority of the population experiences, stress and other environmental factors can take a toll on the body. To combat the daily stress, we often consume food and drink options that may not be as healthy for the body as we want it to be. Give your body a break by trying out methods like cleansing. Taking care of our bodies from within might as well give the body the healthy reprieve it needs. But what exactly does the whole process do for your body? 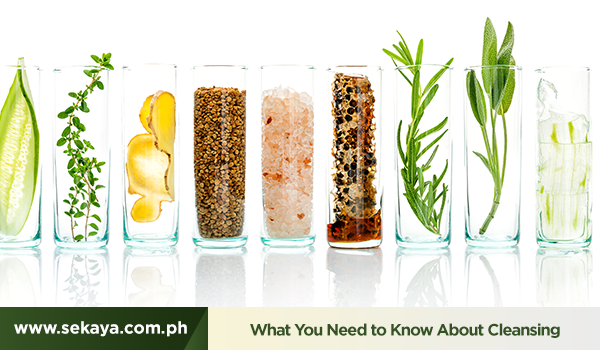 Read on to learn what you need to know about cleansing. More than a trendy diet fad, cleansing has long been practiced by different people since time immemorial. Different medicinal practices, from cultures like the Greeks and the Chinese, believe in giving the body a resting period from its normal processes. The body has a natural detoxification process, but different factors can slow it down to less than optimum performance. Eliminating the toxins from within helps the body better process nutrients that it needs for vital functions. This is where cleansing comes into the picture. You have probably heard of cleansing, but what exactly can it do for the body? Read on to find out its benefits. • Clearer Skin: The skin is the largest organ of the body, and it often reflects the body’s internal state. Cleansing from within helps give your skin a nice glow, and help cure physical signs of toxins like acne, rashes, and dry skin. • Improved Energy Levels: Cleansing helps remove the causes of inflammation that prevents your cells from creating the energy your body needs. It also helps alleviate the signs of fatigue and give you the energy you need to deal with your daily activities. • Improved Immunity: As you are removing harmful toxins from your body, the vitamins and minerals that helps body functions have better effectivity. • Better Digestion: Cleansing is not just a weight loss program. Without the usual junk we submit our body to on a regular basis, the body can better process the nutrients it needs. Cleansing can support natural relief from constipation and promote regular bowel movement. Flush out harmful toxins from the body with medical botanicals like Sekaya Regular Move. Sample nature’s healthy gifts with Sekaya Botanicals.